The Fraser Fir has become the species of choice for most major retailers. 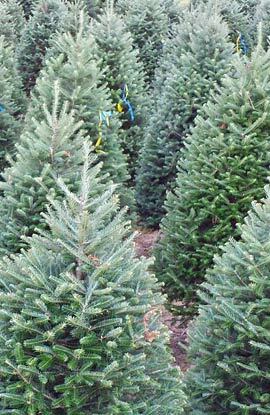 The Fraser Fir is becoming the tree of choice because of its excellent needle retention, endurance, and functionality. The Fraser Fir has longer needle retention with a nice fragrance. Available 5ft to 12ft. The Balsam Fir is the Traditional Christmas tree with a strong fragrance and good distinctive color and good needle retention. Available 5ft to 12ft. The Fraser-Balsam Cross Fir is a hybrid of the Fraser and Balsam Fir Trees with shiny/waxier dense needle coverage and has both characteristics of the Fraser and Balsam Fir with good needle retention, endurance, functionality and a nice fragrance. Available 5ft to 12ft. 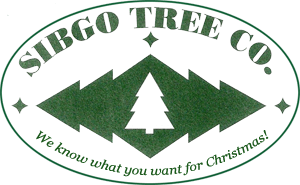 Live Potted Trees are available in 3 gallon pots for those customers who want a small, but real tree. Balsam Wreaths are made double sided in all available sizes. Live B&B Trees - Available up to 8ft.